Chris Avellone has been far from secretive on Twitter when he revealed that he just wrapped up work on Star Wars: Jedi Fallen Order, Respawn Entertainment’s upcoming title. 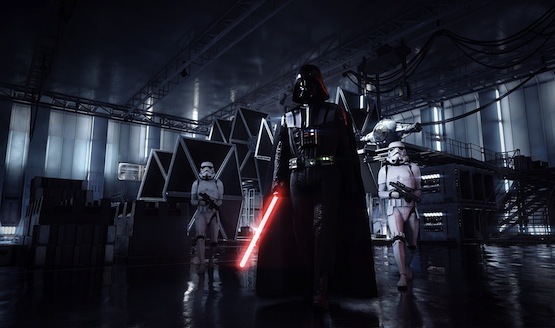 I can’t say 100% b/c of NDAs, but the ones I can say: I just finished up work with Jedi: The Fallen Order – and beyond that, there’s another big bomb dropping in a month! Er, I mean, maybe. Ahem. Jedi Fallen Order is EA and Respawn’s next Star Wars title dated for a fall 2019 release date. They have recently announced that the first trailer will be shown at Star Wars Celebration, a convention for fans who love the worlds that are from a galaxy, far, far away. Avellone has already worked on a Star Wars franchise game before as Lead Writer and Lead Designer of the acclaimed Star Wars: Knights of the Old Republic 2. He has also been the narrative director of Pathfinder: Kingmaker, the Creative Director of Alpha Protocol, and worked on many other titles in his time at Interplay and Obsidian Entertainment. He is now working on Dying Light 2 with Techland. This is particularly curious as next month is when Star Wars Celebration takes place. Fans have pondered about a sequel in the Knights of the Old Republic series, and with Avellone teasing a “big bomb,” a reveal of that magnitude would set the roofs on fire with the Star Wars fan base. Disney has allowed sequels of previously defunct franchises before. Marvel Ultimate Alliance 3 is being developed by Team Ninja and Nintendo, and Marvel vs Capcom made a troubling return with Infinite. Knights of the Old Republic 2 also joined Xbox’s Backwards Compatibility program. What do you think this “big bomb” is?